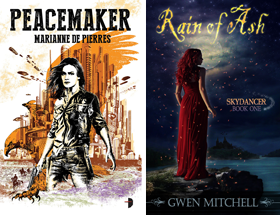 In news from Rachel Caine, her publisher NAL has bought three more Morganville books (in addition to the six that were already planned). 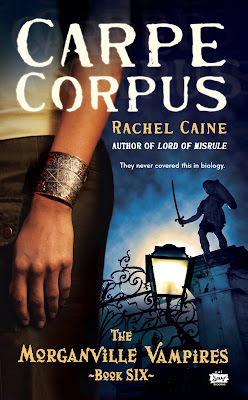 Here is the cover for Book 6 in the Morganville Vampires series - Carpe Corpus - due out in July 2009. The fifth book, Lords of Misrule will be out next month. "Grab the body"? Interesting title, to say the least! Thanks for sharing! Such an under-rated series. Morganville is such a fascinating place to visit. Love the tension in these stories. I love the Morganville vamps series and am eagerly looking forward to book #5! Where have you been all my life? ha ha I'm going to start consulting your blog when I'm itching for a new book to read. Dracenea I have been here waiting for you :) Glad you finally found me. Hey Kimberley, yeah the Morganville vamps is a great series. Just wish each book was longer. I devour them in a quick sitting every time one comes out.